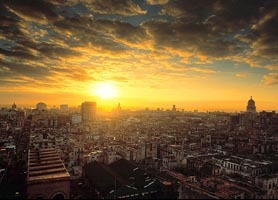 Need to compare rates for all Hotels in Old Havana, Cuba? Finding it hard to get real-time availability of Hotels in Old Havana? 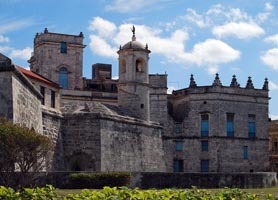 Hotel Bookings Old Havana.com will not only help you compare rates at Old Havana Hotels but, also provide free & recent reviews of all Old Havana Hotels, Free Maps & Hotel locations of all Old Havana Hotels. By clicking “check availability” you’ll be shown rate comparisons, whether it be the hotel directly or any other supplier of the hotel. You can also make a firm booking or “lock-in” Old Havana Hotel discounts by reserving immediately during the numerous discount campaigns offered by Old Havana Hotel chains like Habaguanex, Iberostar, Islazul, Gran Caribe or Accor Hotels. After choosing the best rate, completing your booking is simple and prepayment is not required at any of the hotels. Guaranteed! Old Havana Hotels range from 2 to 5 star. For those of you who are visiting Old Havana, Cuba for the first time, it’s easy to become overwhelmed by the choice and variety available. 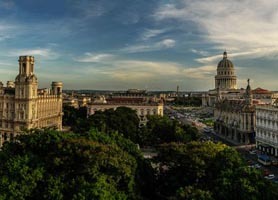 Our aim is to make your choice of Hotel simple so, we´ll dispel some of the myths about choosing a Hotel in Old Havana. Old Havana is large and hotel location is important? No. Old Havana is tiny and can be walked from one end to the other in 15 minutes. All of the hotels shown on this website are actually in Old Havana. Unlike other websites, we do not list hotels outside of the Colonial Quarter of the Old Town in Havana. If you are looking for hotels outside Old Havana in varying distances from the Old Colonial Hub, then please visit hotelbookingshavana.com which displays all these hotels. Is it important to get a hotel with all meals included? If you want to prepay your meals in the knowledge that all your meal incidentals are paid in advance then that is fine. However, Old Havana is literally bursting at the seams with fantastic restaurants and privately owned Paladares offering a myriad of cuisines from Chinese to Arab and Japanese to American. Many of our thousands of clients say that dining out in Old Havana is as important to them as seeing the Colonial sights. The choice is yours. Why does HotelBookingsOldHavana.com not require prepayment when all other websites do? The answer is simple. NO HOTELS in Cuba require prepayment but, alas, many website operators prefer to charge in advance. In fact, many websites that appear to be either the Hotels or the hotel chain are not in fact these at all…Check and you’ll see. At HotelBookingsOldHavana.com you’ll compare all the rates and guarantee that your bookings are 100% confirmed while not requiring payment weeks or months in advance. Just like the hotel bookings you make elsewhere in the world, the card used during the booking process will only be automatically charged after check-in. Can I stay at multiple hotels in Old Havana? Yes. We accept bookings from just 1 night stay. You can also book +260 hotels in the rest of Cuba by either visiting our other region specific Cuba Hotel Reservation websites or perusing the booking section after you´ve checked the availability at, at least, 1 hotel. What if the hotel I want is not listed? If the hotel you want is not listed it is not an Old Havana Hotel, simple. Many websites inexplicably display hotels that are not in Old Havana as Old Havana hotels, we do not. Do you offer Casa Particulars in Old Havana? Yes. We offer a growing number of private homes and home-stay properties. What if I need more help or personal assistance? Our chat system is manned by professionals who have not only lived in Havana but they were born there! They are available by clicking the chat link and can assist you with Hotels, Cuba Transfers, Cuba Flights, Cuba Car Rental or just offer some free advice. We hope to change the face of booking hotels in Cuba by assisting travelers to book the hotel they need without inconvenient prepayments and hassles. 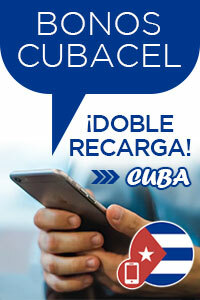 If you decide to use us, we thank you, you´re one more person who will never prepay a Cuban hotel again.